The newest model of the latest technology in eye care ” Optomap California” is here! We are pleased to inform you that we have acquired the latest technology in eye care – the optomap®. 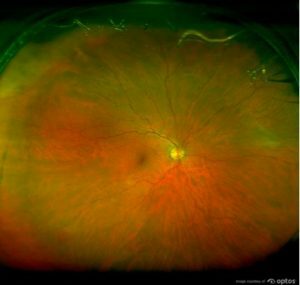 The optomap is a tool that assists us in the evaluation of your retina. 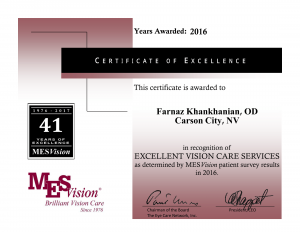 Dr. Khankhanian is recognized for her Excellent Vision Care Services! 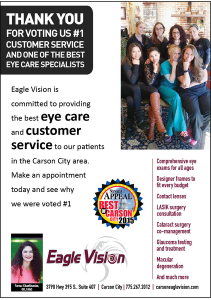 ...of the Northern Nevada Optometric Association. Congratulations, Dr. K! Dr. Khankhanian discusses volunteering and her experience at the Carson City Health Fare. 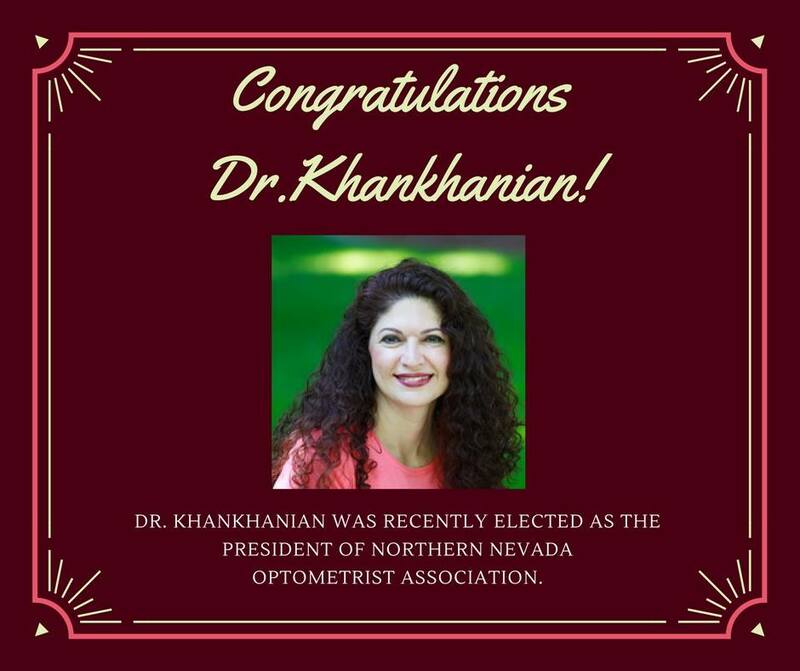 Here is a story from a personal patient of Dr. Khankhanian's. It's a very valuable and emotional read. 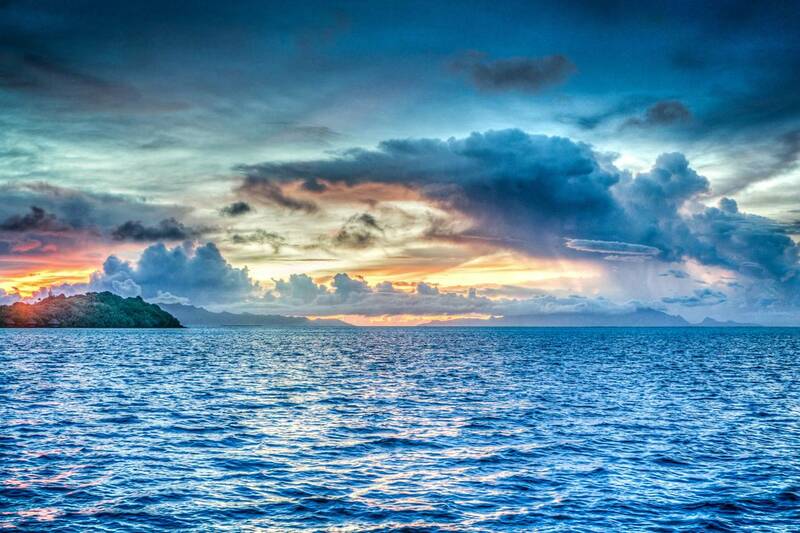 Free digital upgrade until July 31, 2014. Simply place your order for a pair of Varilux lenses and get DIGITAL lenses instead at no extra charge! That is a savings of $100! Dry eye syndrome is often worse during the cold season because of cold and dry air conditions. Have a look at our June special on Sunglasses! Have a look at our June special on New Glasses! New Sport Glass Colors Now Available! Six new colors of sports glasses have just arrived! For kids and adults! This is the second time Dr. Khankhanian has saved a child's life by properly diagnosing and making prompt referral to the ER Read Anthony's story. This story is about how a recent visit to the Eagle Vision turned into the discovery of a cancerous brain tumor.